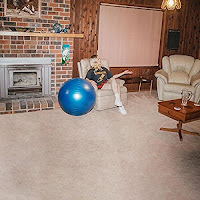 Julia Jacklin’s debut album Don’t Let The Kids Win is one of the most impressive debut albums released this year. The twenty-five year old singer-songwriter hails from Australia’s Blue Mountains and the album feels like a collection of stories of her life and her observations on it to date, full of heartaches and lessons learnt. Opening track Pool Party feels like a desperate plea to a lover to get off a relentless spiral of drink and drug addiction – “I want to give you all of my life, but I watch you sink as they swam above” and “my heart is heavy when you’re high, so for me why won’t you try” laying the emotions bare as if some form of catharsis. It sets the tone for the rest of the album that is open, honest, stark and revelatory. Lead Lights feels immediately familiar, like you’ve heard the song a million times before and it’s with this that Don’t Let The Kids Win casts its magic. It already feels like an aged-worn classic without sounding like anyone specifcially, one of those albums that feel absolutely timeless in its construction and delivery. Again the doubts around love come through in the lyrics as she comes to the conclusion that "I love you my darling, I do, but I can't promise I'll be here to see this whole love through. Small Talk is made up of a series of envisaged conversations with Zach Braff, Catherine Deneuve and a guy at the bar at one of her shows, imagining them as father, mother and lover but then each in turn being told they’re too young or too old toplay that role. The real beauty of Don’t Let The Kids Win is in its simplicity, it doesn’t try to bowl over the listener with grand statements or neat tricks. It’s a soul-bearing stirring record that disarms the listener immediately, Julia’s voice demonstrating a genuine warmth and emotion, at times imbued with the innocence of youth and at others with a world-weariness (Same Airport Different Man feels like a reflection of a string of failed relationship) beyond her years. Julia Jacklin's website can be found here and she is on Facebook and Twitter. She is supporting Whitney on their UK tour in November.